Share the post "KIRK HAMMETT: ‘I Have A Ton Of Material’ For METALLICA’s Next Album"
METALLICA‘s Kirk Hammett has told Australia’s Mixdown magazine in a new interview that the band’s “WorldWired” tour is scheduled to last until November 2019, after which it could be time to hop back into the studio. Fans had to wait five years for 2008’s “Death Magnetic” and eight years for 2016’s “Hardwired… To Self-Destruct”, but the guitarist says the next disc might not take as long to complete. 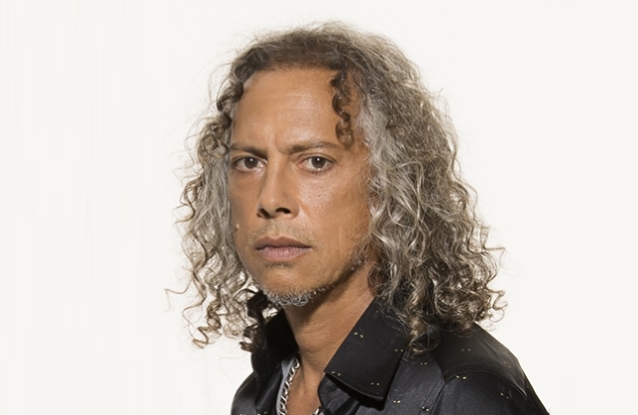 “When I was 13-14 years old, bands put out albums every year,” Hammett said. “Seriously, KISS put out an album every eight months. None of this eight years between albums. “None of us are very comfortable with the fact it’s been so long, because that is a long time,” he continued. “We’re hoping to avoid that this time around. According to Billboard, “Hardwired… To Self-Destruct” was METALLICA‘s 12th album to sell at least a million copies since Nielsen Music began tracking sales in 1991.